Paddle your whitewater rig through chilly, shoulder-season waters with your hands protected by the Kokatat Neoprene Medium-Weight Hand Jackets. Adjustable wrist closures lock out water while flexible neoprene fends off the chill without inhibiting your dexterity. Reach for these midweight gloves in early spring or late fall. 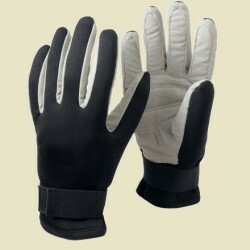 Helly Hansen Glove -designed to be used as liners or as a light glove. Color: Black. Material: 85% Polypropylene and 15% Spandex. Inspired by the original and timeless design of the Bonnie Hot Pogies! Features a comfortable 3-ply waterproof and breathable nylon shell. Attaches to paddle via hook and loop closures. Forearm stiffening stay assist entry of hands. Traditional mitt design fashioned from 4mm neoprene. Allows you to grip paddle with bare hands and still be warm. A great alternative to bulky gloves in cold weather paddling. One size fits most. Black. The Waterfall Full Finger Glove makes a great all-around paddling or rowing glove. This light weight neoprene (2mm) backed glove has a sturdy design that keeps your hands warm and comfortable while providing excellent protection from wind and water. The palm and fingers are made from reinforced synthetic suede for durability and grip. Thermocline Gloves are made of softer, denser neoprene that is form fitting for warmth and comfort. 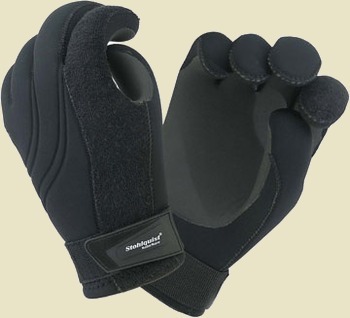 Articulated finger deisgn keeps hands in the natural action position for reduced fatigue and increased thermal value. Thermocline Gloves are available in 3, 5, 6.5mm high quality neoprene for insulated protection in a variety of water temperatures. Field tested, superior designs provide the highest performance in a wide range of diving conditions. The inner and outer fabric of the Warmers-DeepSee TS Titanium Glove is 100% Nylon with a rubber filling material and 3mm Neoprene. 2mm neoprene with patented Touch-Rite thumb and index finger for an easy grip on the paddle. Fleece lined for increased warmth, quick drying and easy on/off. Great for all outdoor activities. New 50+ UPF lycra on back and palm makes this our lightest sun glove. New pattern design protects fingers from harmful rays of the sun. We have also lengthened the cuff to protect against sun burn at wrist. 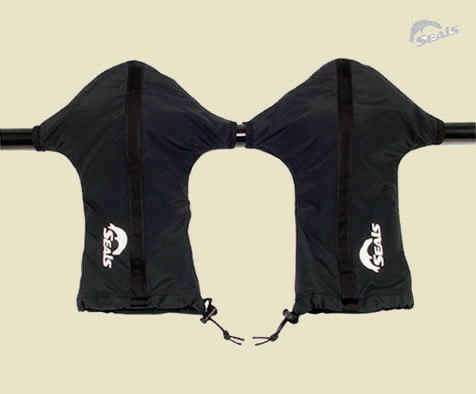 New 50+ UPF lycra back for maximum sun protection. Ultra lightweight lycra dries very quickly. New pattern design protects fingers better. Polyurethane palm is very thin and durable. Extended cuff for sun protection at wrist. The MAW is a 3mm 4-way stretch precise paddling glove. Pre-curved fingers provide grip and paddle control while reducing hand fatigue from squeezing. 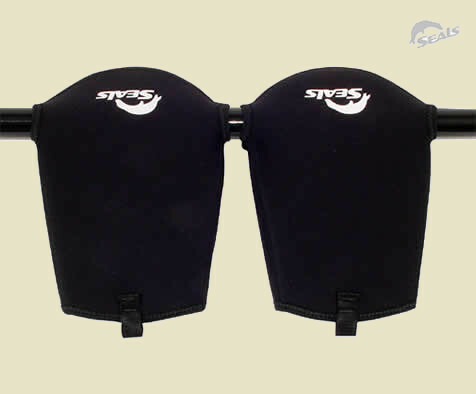 Super flexible 4-way stretch neoprene balances the perfect combination of warmth and comfort. Unique terry cloth brow-wipe absorbs water droplets. • 1 1/8" diameter finger pre-curved eliminates gripping fatigue. • Grippy palm and finger surfaces provide better inherent paddle control and feel. • Protective, warm and soft to the touch. • Displaced seams eliminate irritation and pressure points. • Absorbent terry cloth fabric on back of index finger for brow-wiping. 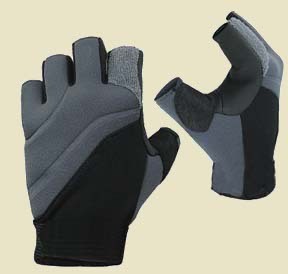 • Adjustable wrist closure secures glove in place. • Glued and blind-stitched seams keep water out. • "O"-ring seal at entry. • 3mm 4-way stretch neoprene for comfort. A special paddler's glove offering protection and warmth without giving up the feel for the paddle, helping you retain precise feel and comfort. The CONTACT design has a non-slip grip similar to bare hands, wet or dry. • Half finger design for maximum paddle comfort. • 3mm neoprene back for warmth and wind protection. • Absorbent terry cloth brow-wipe on index finger. • Reinforced thumb panel for added durability and comfort. • Pull-on design with low profile cuff.